If you live an active outdoor lifestyle then we have some perfect holiday gift ideas for your pup! Many pups live in the country, outside of the cities and they get to spend a lot more time outside. These are items that every country or outdoor loving dog would love or needs to keep them happy, healthy and safe. Anyone who has owned or raised a dog in the country knows how important it is to have tags on their dog. Rural areas are dangerous in different ways than are urban areas are. If your dog runs off, there are number of scenarios that can occur. Your dog may be caught while visiting another household, picked up off of the road by a concerned citizen, caught by Animal Control or (worst case) delivered to a local Veterinarian for injuries. 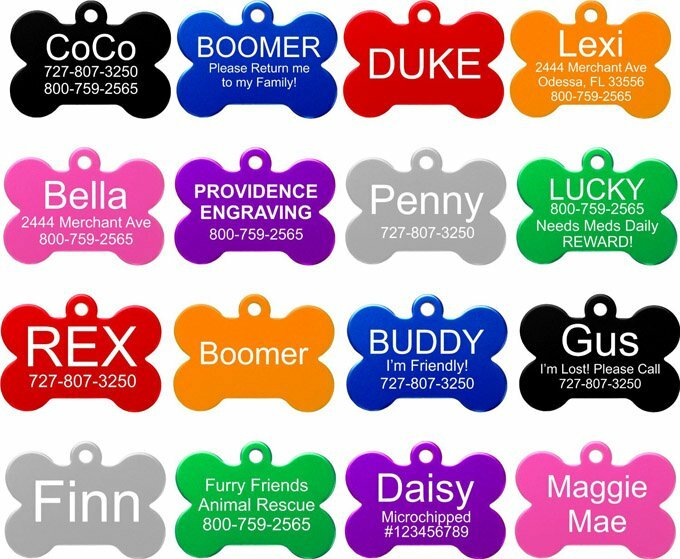 Tags on your pup will help increase the odds that s/he will find a way home if they get lost or wander off. Animal Control is serious about registration too, and issues big fines for unregistered animals. Along with your dog’s registration info, you can put your own information, like a phone number or address, and also vaccination info (rabies etc..). The more information they carry on their collar the better your chances are they will come home. Amazon.com has a large variety of tags, in many colors and shapes. You can even get one with Swarovski Crystals around the border. We like these simple, engraved tags because they’re easy and inexpensive. Just enter your personal info into the “Gift Information” during checkout. For those of you who have moved to the country with a city dog, or have dogs who are genius jail-breakers, technology can lend you a hand. Some dog owners can’t afford to put in a kennel, or fence their entire property. Invisible fences work for most dogs, at a fraction of the cost. Other handy tools for outdoor dogs include GPS devices and portable locators, some of which include a signaling “whistle” that will tell your dog he’s gone far enough. These devices are handy for training, or just keeping track of your dog’s whereabouts. 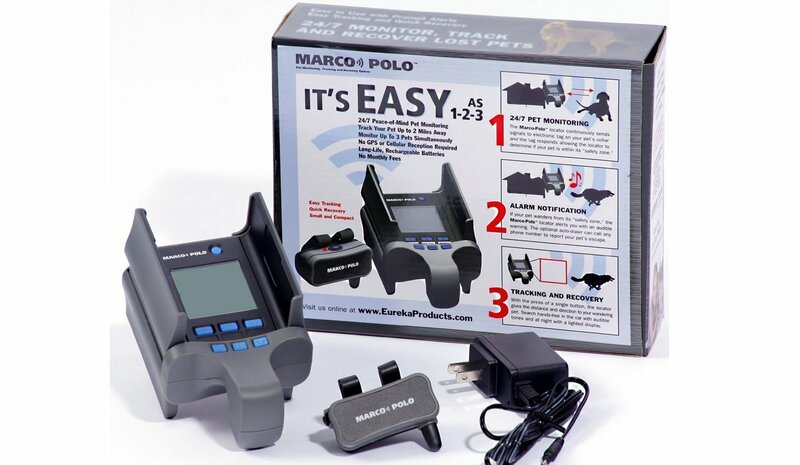 Marco Polo Dog Tracker/Locater is the highest rated on Amazon.com. If your pet wanders off, you will receive warnings in less than 80 seconds. It will guide you directly to your animal’s exact location, within inches if necessary, and it doesn’t require GPS or cell service. Here at DogTime, we love local boutiques. We appreciate vet-recommended grooming brands, and giant, pet stores where you can get almost everything you need are so convenient. 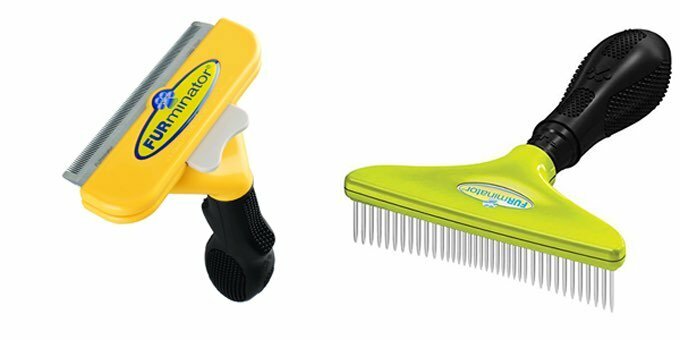 However, in more remote areas, buying grooming supplies online can save you money, travel, and it’s an easy way to shop for new or specialty items. Lots of reviews and product details allow you to browse at your leisure. Grooming problems specific to country dogs might include stickers, foxtails and burrs, fleas and ticks, and poison oak and ivy. Remote areas may not have local groomers, so the job falls to the owners who may or may not know what to do. Dog wipes are wonderful for after-walk, quick cleaning, especially in areas where poison oak and ivy grow. Remember that a lot of leaves are still on the ground, even in winter, and the bare stalks still carry the serum, though in smaller amounts. Pay attention to the footpads of your backwoods buddies, or you’ll get a paw-shaped rash! 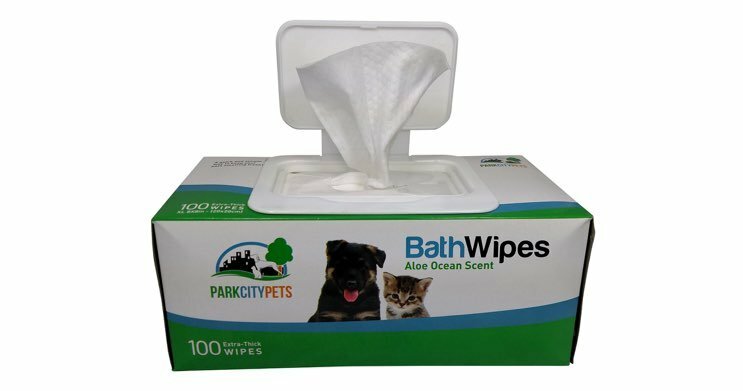 Ironically, Park City Pets has the highest rated product for your country dog. They are thicker, antibacterial wipes with aloe, and they come in an eco-friendly box. It’s wintertime! When “the weather outside is frightful”, your dog needs a cozy place to hunker down. 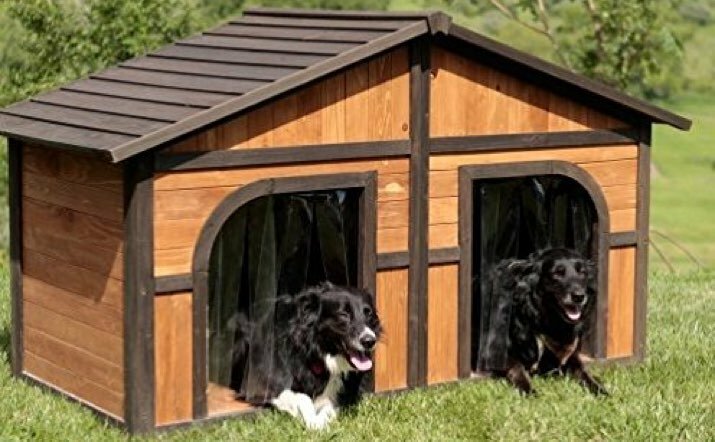 For dogs who love to be outside, a house is an absolute necessity. Some urban and even rural dog owners may not believe it, but people still have “outside dogs” and some dogs truly enjoy being outside. Some dogs are used for protection, for example; Cathy Moore of Moore’s Natural Ranch in California, has livestock that needs looking after while they are asleep or away. She keeps an Akbash guardian, who patrols her property very seriously protecting her heritage breed livestock: “I love Thorin!” she says, “He is an outside dog, and wouldn’t have it any other way. At night when he is awake, he gives me the full, Thorin hug, by leaning all of his weight up against me as if I were a tree!” Apparently, this is the special way that Livestock Guardian Dogs, or LGDs show that they care! Thorin has a doghouse to sleep in during the day, and to hide in during foul weather. Whether your dog has a serious job, and even if you let your “outside dog” into the house at night, a doghouse is a great idea. Protection from the elements, sun, wind, rain and snow, and a quite place to take a nap. 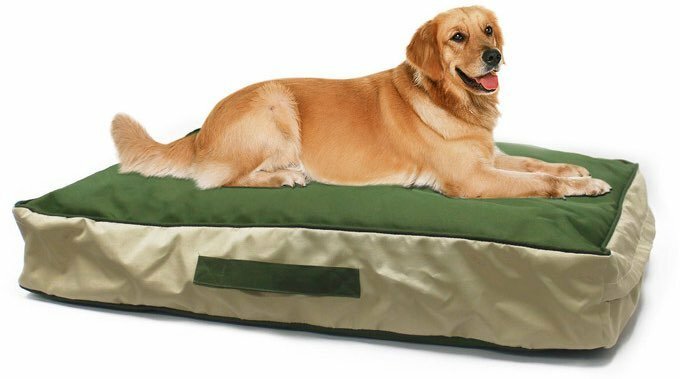 Outdoor dogs need something soft and warm to lay on and this water resistant, washable outdoor dog bed is perfect for a dog bed that will exposed to elements like heat, snow and rain. On properties where dogs roam freely, a sign can serve a dual purpose. 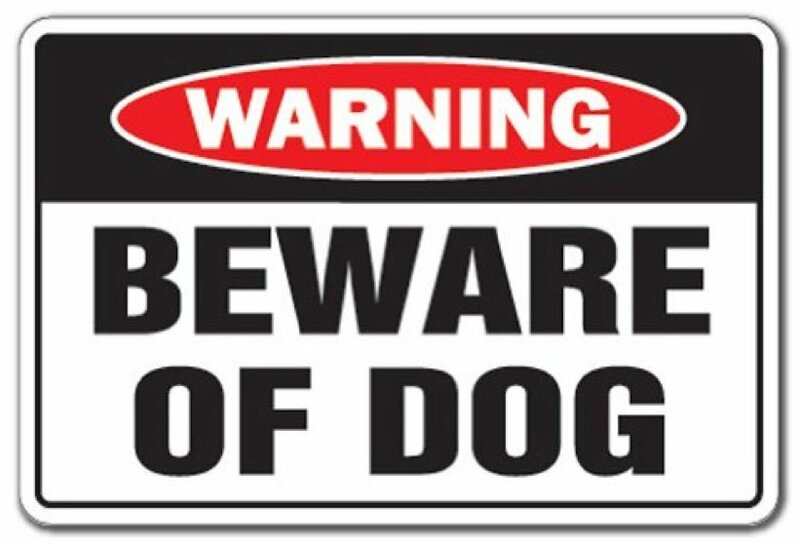 Even if you don’t have a “watch dog”, a sign warning drivers to “beware” slows them down, and reminds them to look for a dog, which can help avoid a car and dog collision. 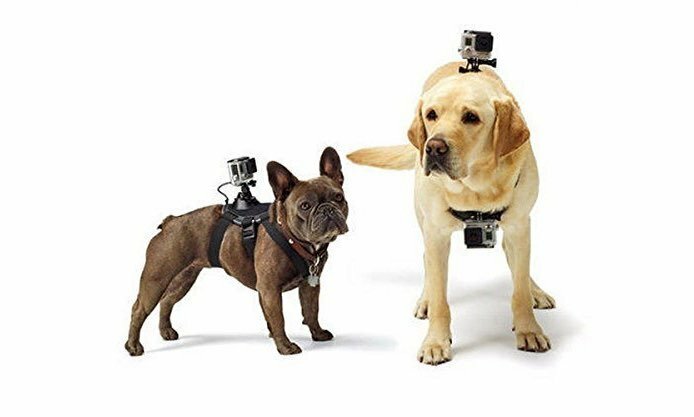 Ok, maybe you don’t really NEED a camera-mount-harness for your peak adventuring pup, but what the heck. Why not? Maybe your pup will go viral! All dogs need treats and training treats are great because they are tiny and don’t contain too many calories. They are perfect for helping to train your dog as well. 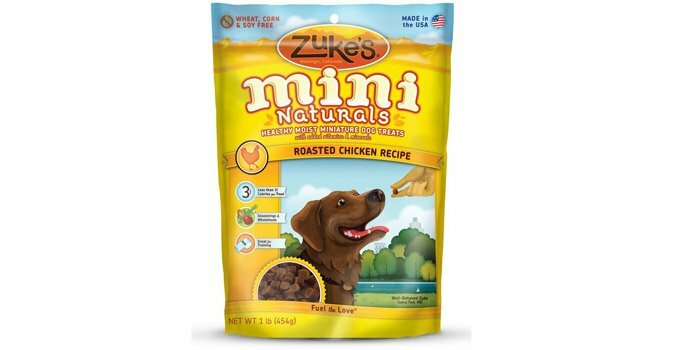 Zukes are the best selling dog treat on Amazon. 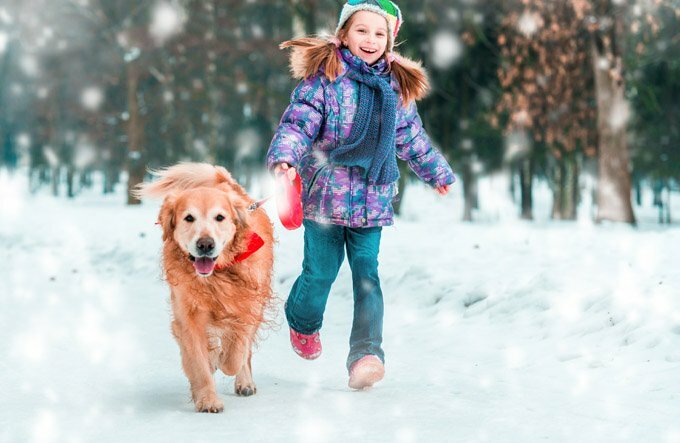 Keep your outdoor dog happy and healthy. Keep his mind engaged to keep him or her out of trouble. Exercise is important for your outdoor dog. Dogs who are occupied are less likely to try and find their own fun, and dogs who are well fed are less likely to look for their own treats. Pardon the frankness, but there are too many dogs who see things like deer-droppings as tasty, little snacks. Ew! Do you have an outdoor dog? What items to you consider essential to your pups happiness and well-being outside?